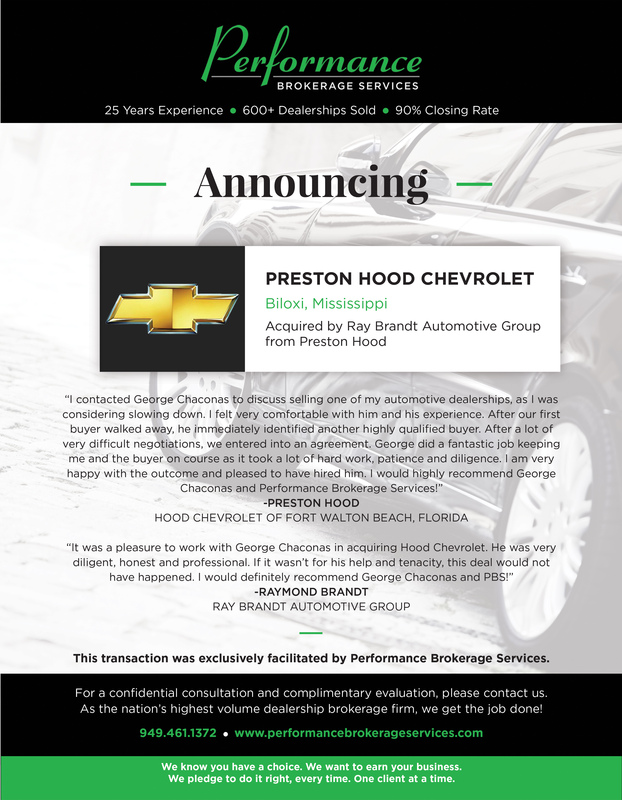 Ray Brandt Automotive Group acquires Preston Hood Chevrolet in Biloxi, Mississippi from Preston Hood. This was a perfect strategic acquisition for Ray Brandt to expand and diversify his dealership portfolio. This acquisition marks the first Chevrolet dealership in the group and the group’s only domestic dealership in Mississippi. This transaction was exclusively facilitated by Performance Brokerage Services, Inc.